For Qatari royal family, hunting rare birds on the Arab desert is a pastime dating back to their ancient Bedouin ancestors. Using falcons and other birds of prey, they continue to practice the same hunting methods as they have for centuries. The problem is that the birds that are especially prized have become fewer and far between, putting some high social elites in some of the most dangerous territory in the world. 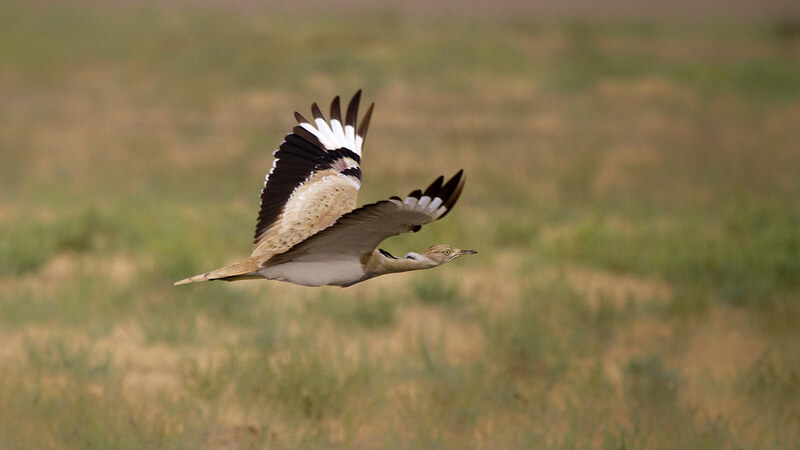 Recently a Qatari prince and his hunting party was attacked by a group of about 30 Pakistani villagers upset the royals were hunting a rare bird prized by Gulf Arab elites, the houbara bustard. Four people were hurt in the attack, from which the prince got away safely, according to ABC News. This is not the first time a Qatari hunting party has drawn the ire of local villagers. Last year a group of Qatari royal family members were abducted in Iraq during a falconry hunt in the region. Those hunters were after the same Asian houbara bustard that has been driven to near extinction in Qatar when a group of 100 Iraqis abducted all 26 members of their hunting party.